Its that time of the week again when we reach for the champers, grab the pooters, and get all Pinteresting on your bottoms..! This week, the show is over at Mum of One – so pop on over and check the score, and find some lovely Pinterest people to follow as well. 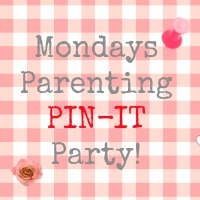 There are usually some excellent advice posts and activities to discover…so if you have anythin thats got a parenting vibe, pop on over to find out the rules, and then link on up. Check out more than you need to of the other posts too, there is always some really great stuff there. We also have a mailing list for the linky too – just this linky mind – and you will get a reminder when its happening. Why don’t you sign up and then you won’t forget it?